Today's Photo of the Day features Cliff Brockwell in 'MENACE'. 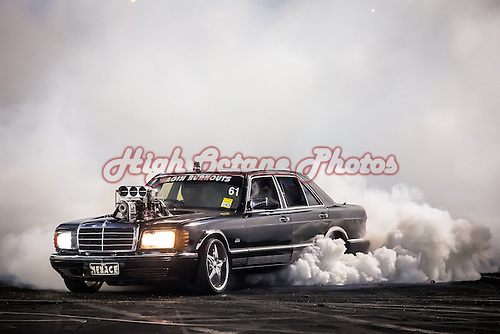 his 1982 W126 Mercedes-Benz 280SE, powered by a blown Ford big block. 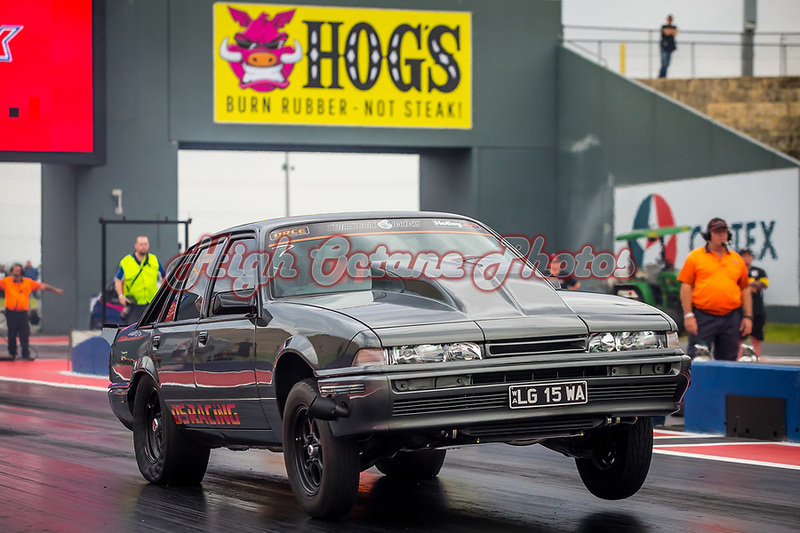 Cliff is the man behind the annual Wagin Burnouts competition and is seen here at the Perth Motorplex during Motorvation 31, held in January 2017. 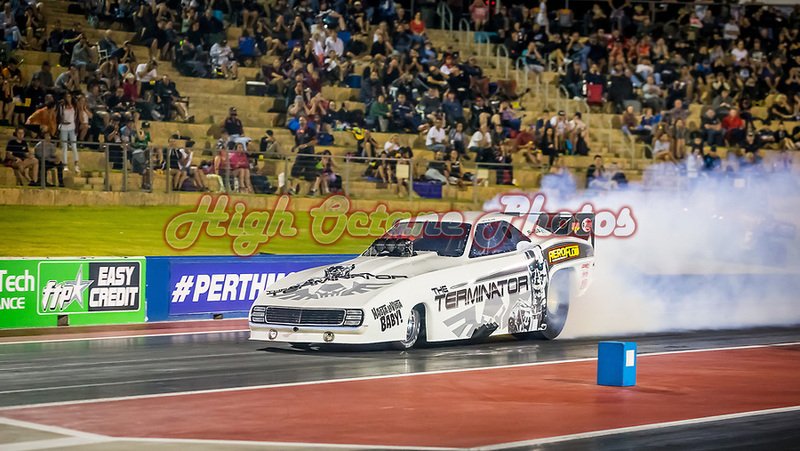 Today's Photo of the Day features Queenslander Justin Walshe behind the wheel of the Terminator Nitro Funny Car, competing in the Aeroflow Outlaw Nitro Funny Car meeting at the Perth Motorplex in December 2017. The Photo of the Day for today comes from the 3rd and final day of Northern Nats 201, held at Springmount Raceway in Far Northern Queensland and features Australian Burnout Legend Gary Myers in his XA Ford Falcon, 'AGROXA' in the final round of Pro Burnouts. 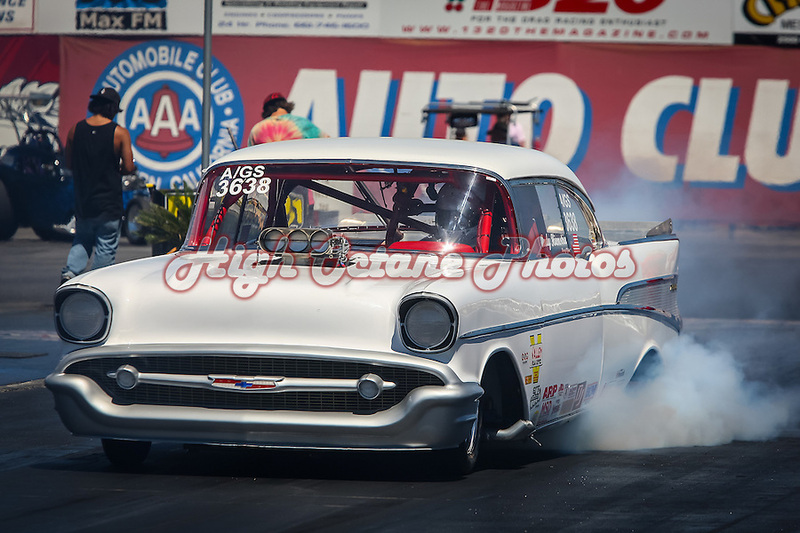 Today's Photo of the Day comes from the 2010 ANRA Summer Nationals, held at Bakersfield's Auto Club Famoso Raceway in California. Unfortunately I don't know a lot about this blown altered, seen here under full chutes in the braking area. 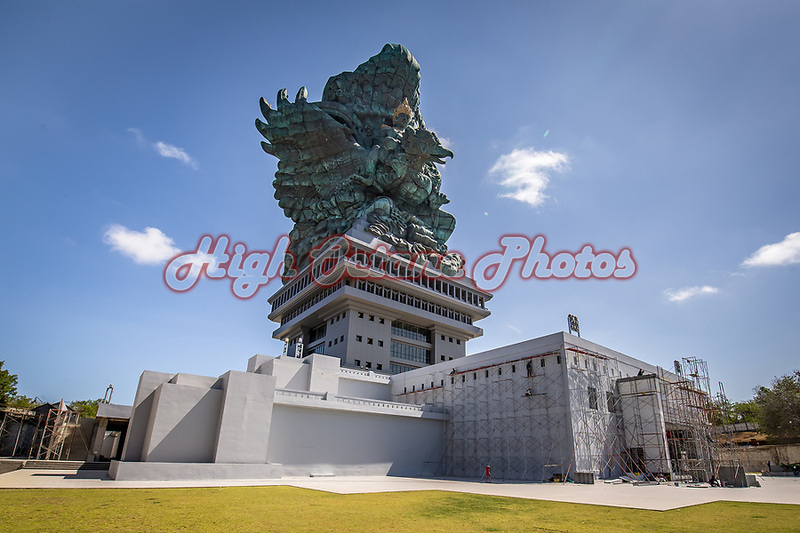 Today's Photo of the Day is from the Garuda Wisnu Kencana (GWK) Cultural Park on the island of Bali, Indonesdia, and features the main attraction, a 121 metre tall monument depicting the Hindu god Wisnu (Vishnu) riding the mythical Garuda bird while searching for the elixir of life. A project spanning approximately 30 years, this shot was taken 6 days before the recent inauguration of the site by Indonesian President Joko Widodo. 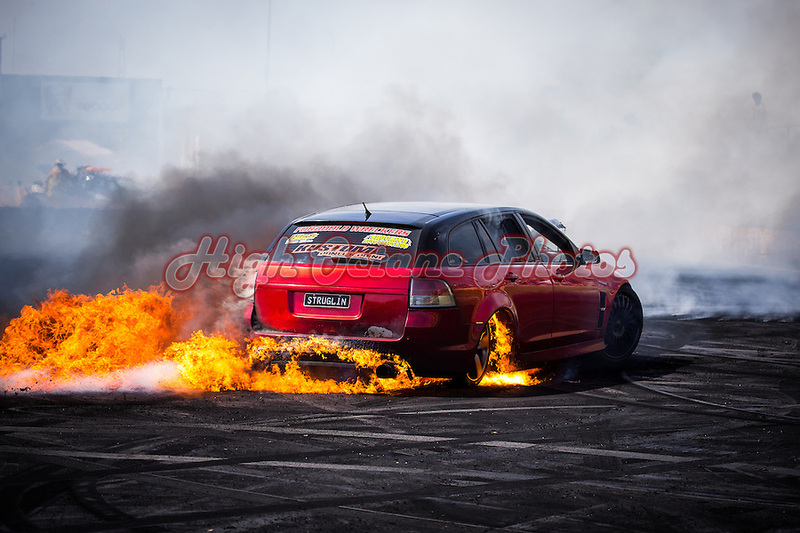 Today's Photo of the Day features FordHold Wrecker's Justen Brown literally lighting up the rears in his VE Commodore wagon 'STRUGLIN' during the blow burnout finals on Sunday of Motorvation 29 in 2015 at the Perth Motorplex. 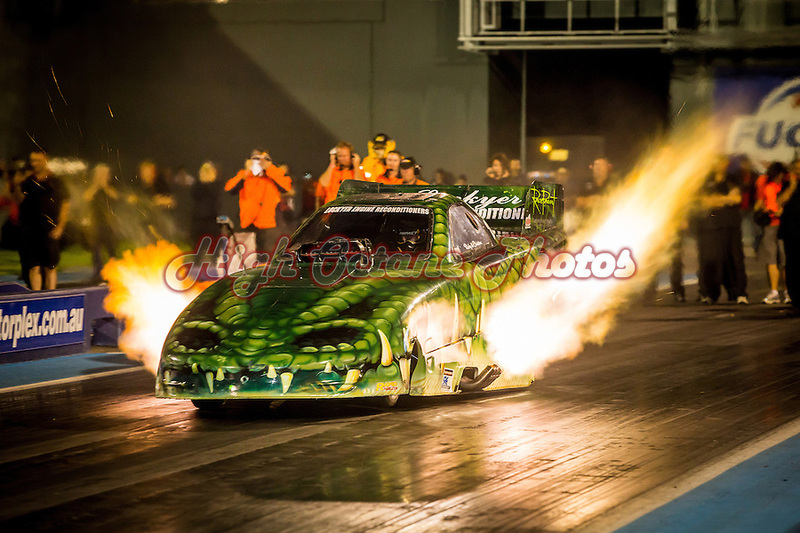 Today's Photo of the Day features Queensland racer Christine Steffans in her salt water crocodile inspired nitro funny car, seen here at the Perth Motorplex's 'Nitro Thunder' meeting in 2014. 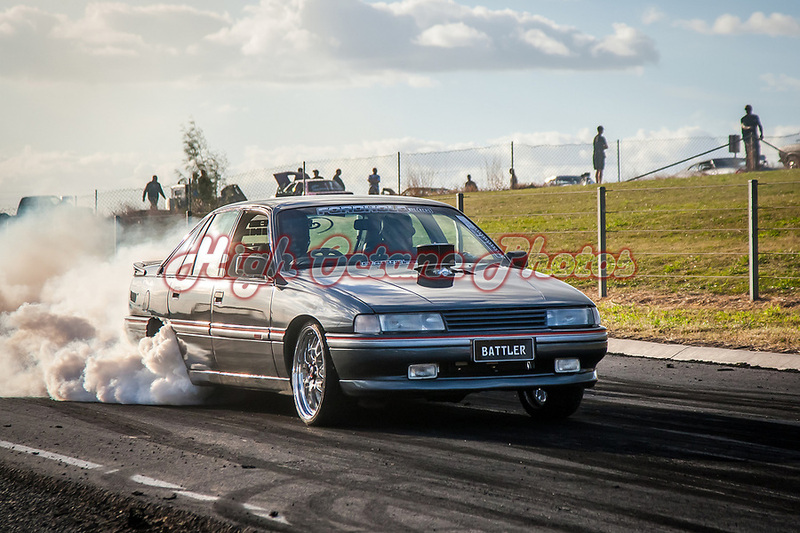 Jamie Cato features in today's Photo of the Day, seen here at Northern Nats 2018 in his VN Holden Commodore SS 'BATTLER'. Jamie was one of a small contingent of WA drivers who made the long trek to Springmount Raceway in Far Northern Queensland for the 3rd annual Northern Nats. Along with a number of other drivers including Chris Orchard in BALLISTIC and Matt James in UNWANTED (riding shotgun for this skid), Jamie laid down some awesome skids all weekend long. This photo is also a little special for me, as it's the first in the Photo of the Day series not shot by myself. This photo was taken by my fiancee, Lori, who helped me to shoot Northern Nats 2018, as well as a wedding the previous weekend. I figured today was a fitting day to feature one of Lori's photos as it's also her birthday today. 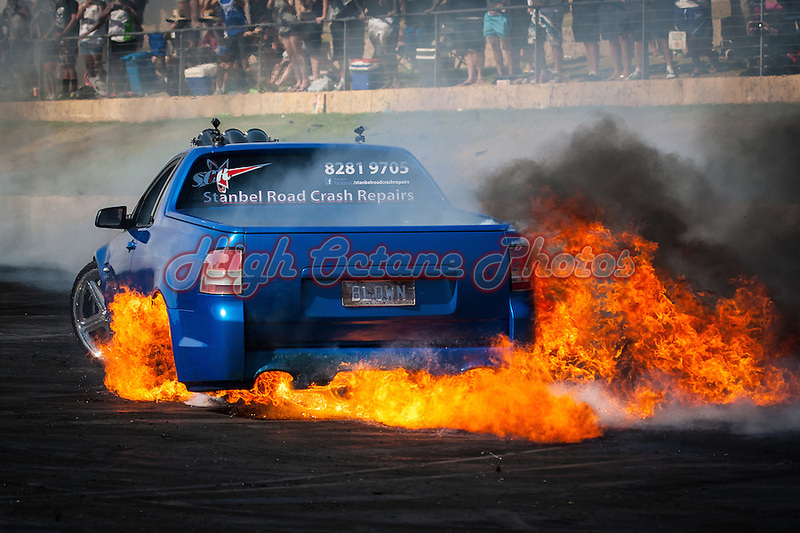 Today's Photo of the Day comes from Motorvation 28, back in 2014, and features Mark Schwirse in his VE Commodore Ute 'BLOWN' setting the rear tyres alight on the Sunday afternoon. Today's Photo of the Day comes from 2007 and features one of the stalwarts of Australian drag racing, Gary Miocevich, driving 'Gravity Storm', one of the Haynes Jet Racing cars that Chuck Haynes would bring to the Perth Motorplex for himself and Gary to drive. Gary was the driving force behind the Perth Motorplex and one of the sports strongest supporters. 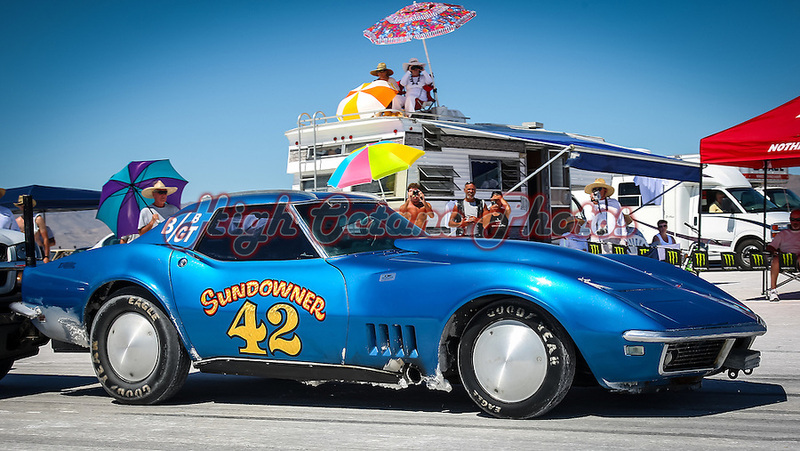 Today's photo features Duane McKinney's Sundowner 42 Corvette, possibly one of the most well known land speed racing Corvettes out there. Duane bought this 1968 C3 Corvette in 1975 and first raced it at Bonneville that same year, with Duane and the car getting inducted into the Bonneville Hall of Fame in 2002. This photo features Duane behind the wheel at Bonneville during the SCTA's 2010 SpeedWeek. 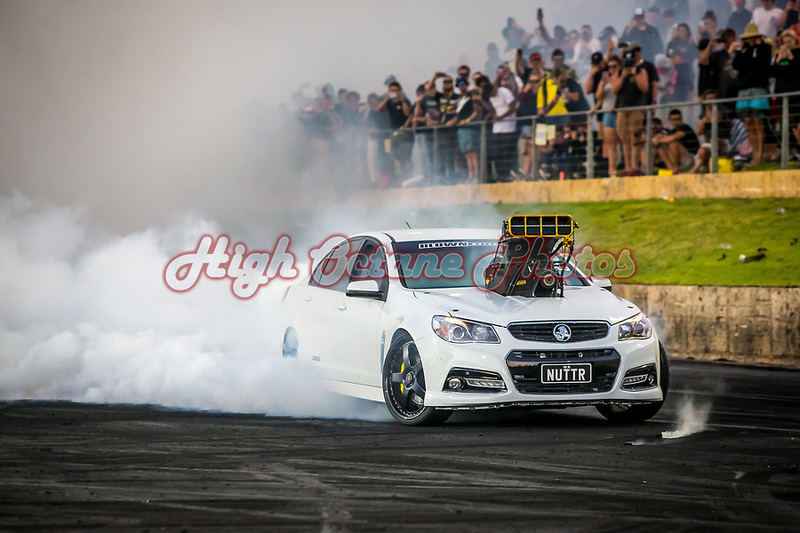 As we head into the Perth Motorplex's first major burnout event of the year, Burnout Boss, today's Photo of the Day is a throwback to last years Burnout Boss and blown class winner Mick Hamon in his Holden VE Commodore. 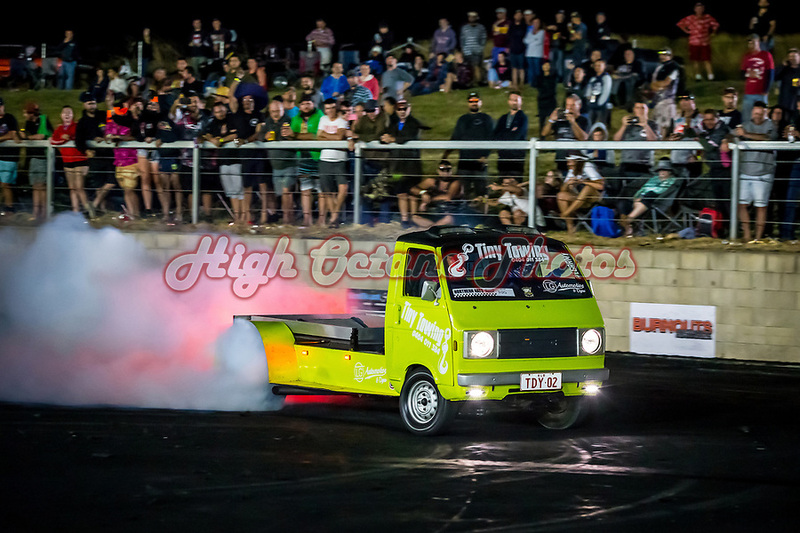 Tonight's Perth Motorplex Burnout Boss competition burnouts kick off at 6pm and continue until approximately 10pm. 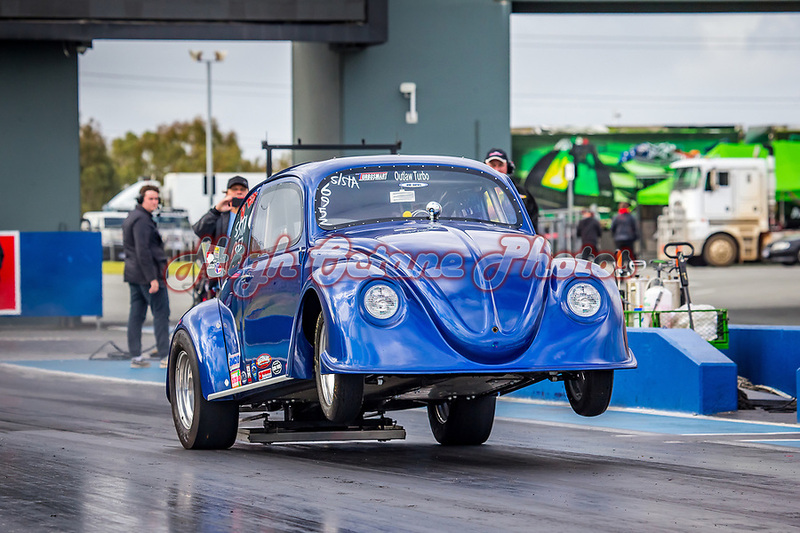 Today's Photo of the Day features a 1956 Volkswagen Beetle nick named 'Wild Bug', seen here at the Perth Motorplex's pre-season test day. Built in the United States and raced over there since 2004 by a number of different drivers, Wild Bug was brought to Australia by Rose and Ian Merrett, but not before Rose managed to get a couple of laps under her belt on the strip at Las Vegas Motor Speedway. Rose has also raced this car at Warwick in Queensland and now this crazy bug has made it's way to Western Australia with a new owner. 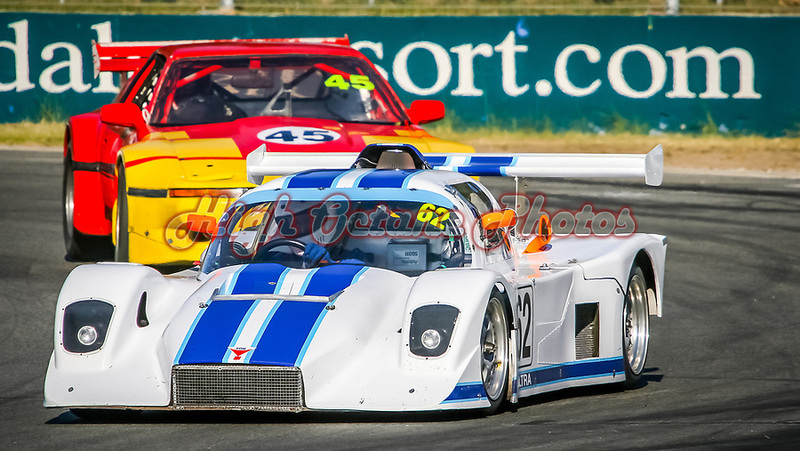 Peter McKenzie (62 - Ultra Sports) leads John Glasson (45 - Toyota Supra) onto the main straight at Wanneroo Raceway in today's Photo of the Day, shot at the WA Sporting Car Clubs 2006 Winter Classic, held at Barbagallo Raceway in Wanneroo. Today's Photo of the Day features Blown Motorsports' George Separovich, driving NUTTR, his Holden VF Commodore SS burnout car, seen here at Motorvation 32 at the Perth Motorplex in January 2018. 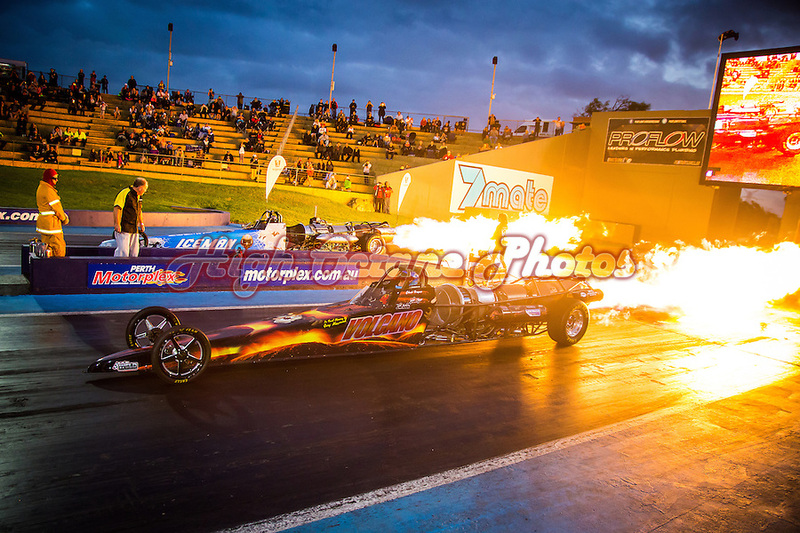 The subject of tody's Photo of the Day is Western Australian drag racing legend John Zappia, seen here at the Perth Motorplex's 2016 Season Opener. 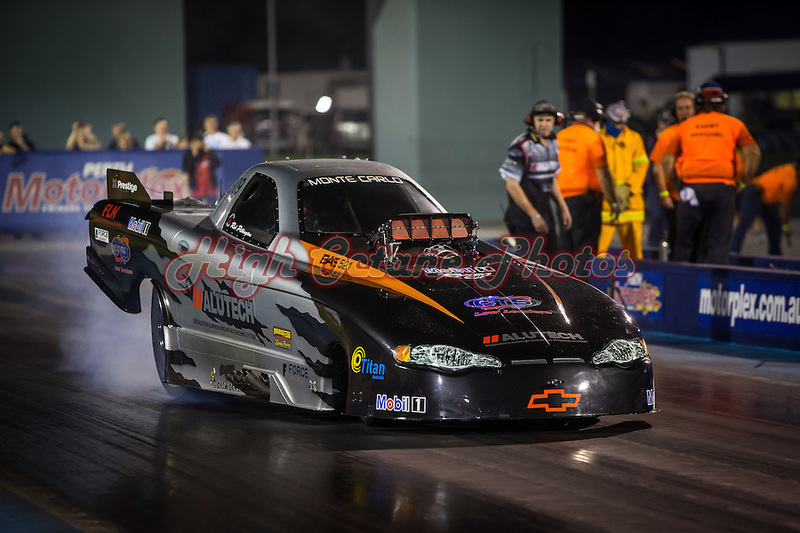 As well as being an eleven time national Top Doorslammer champion, John is a Motorplex regular, running as many meets at his local track as his national championship schedule will allow. 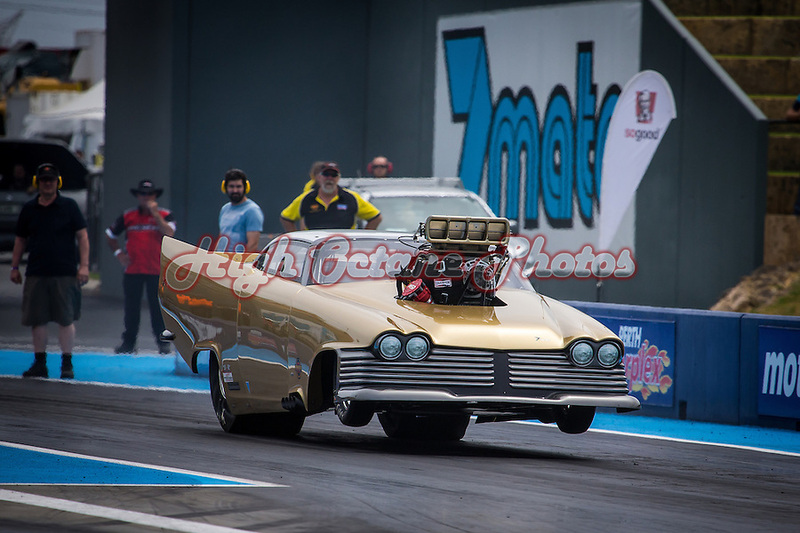 Today's Photo of the Day comes from the 2017 WesterNationals at the Perth Motorplex. The subject of this shot is Ben Bray, driving his 1979 Corvette Stringray Top Doorslammer, during a rare Sunday morning qualifying session. Today's Photo of the Day comes from Bali, Indonesia. This is from the Tegenungan Falls area, and while not the main waterfall here, this is a far more complex set of waterfalls than the much bigger and more easily spotted main waterfall. From the top of the steps down to the bottom of the Tegenungan Falls, it's possible to go directly to the falls and miss these ones all together, but if you take the path to the left, you'll pass these waterfalls on the way down. 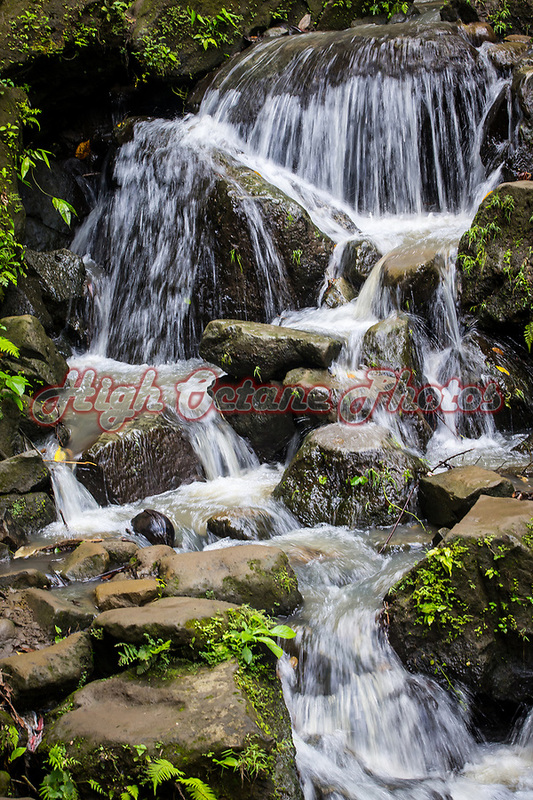 The Tegenungan Falls are in Kemenuh, approximately 20 kilometers north of Sanur. As we approach the opening of the Perth Motorplex's 2018/2019 season, with the first of the pre-season test and tune's originally scheduled for today, I've chosen a photo from the corresponding day last season as the Photo of the Day for today. Here's Top Fuel Motorcycle ride Benny Stevens warming the rear tyres on the Saturday of the two day test held this weekend last year. Unfortunately the weather has forced the track to cancel today's testing, but at this stage, the second test day scheduled for tomorrow (Sunday) is still going ahead as planned. 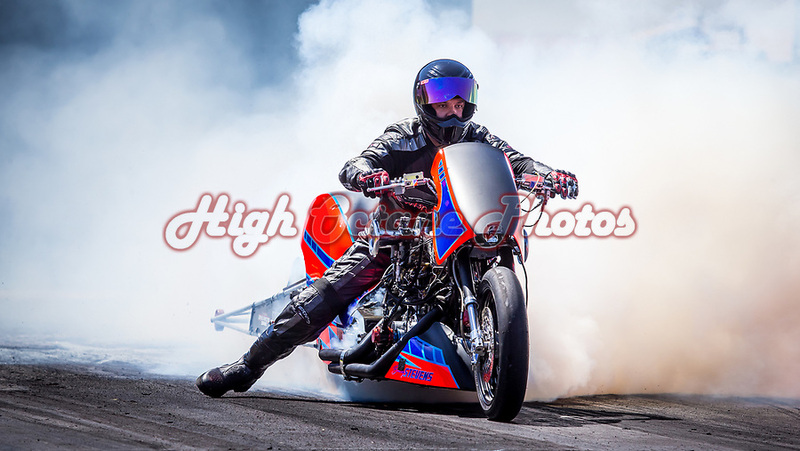 Head on down to the Motorplex to check it out. Today's Photo of the Day features the Chapman Brothers Plymouth Fury Top Doorslammer. 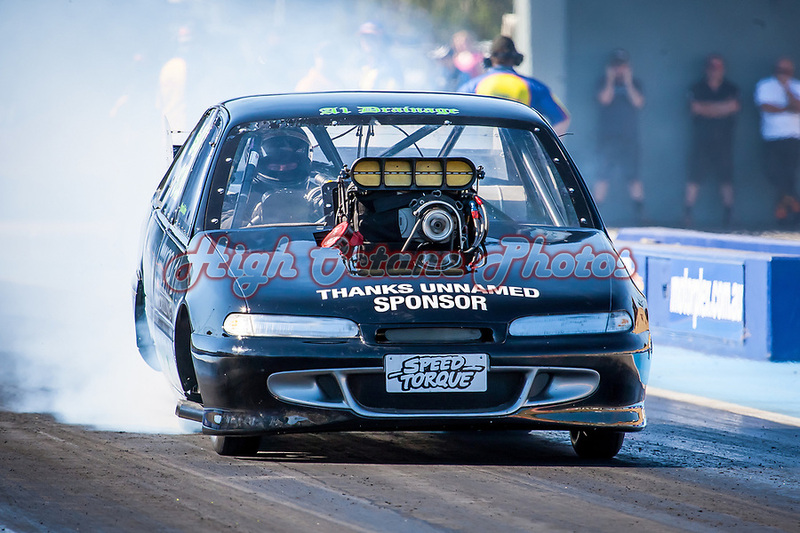 Seen here at the 2015 WesterNationals at the Perth Motorplex, Mark and Gary Chapman's car is a former winner of the ANDRA 'Best Engineered' trophy, awarded at the WesterNationals each year. Today's Photo of the Day is Jay Chun Tie in his insane Tiny Towing skid truck. 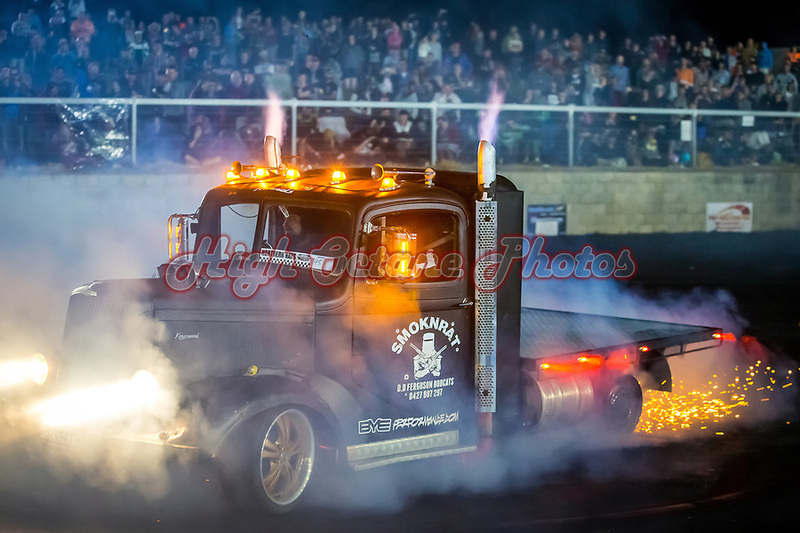 Seen here on the Friday night of Northern Nats 2018, held at Springmount Raceway in Far Northern Cairs, this truck does some of the best burnout entries you'll ever see. Northern Nats is held on the first weekend of May, and if you can get yourself to Northern Queensland for it, it's well worth checking out. 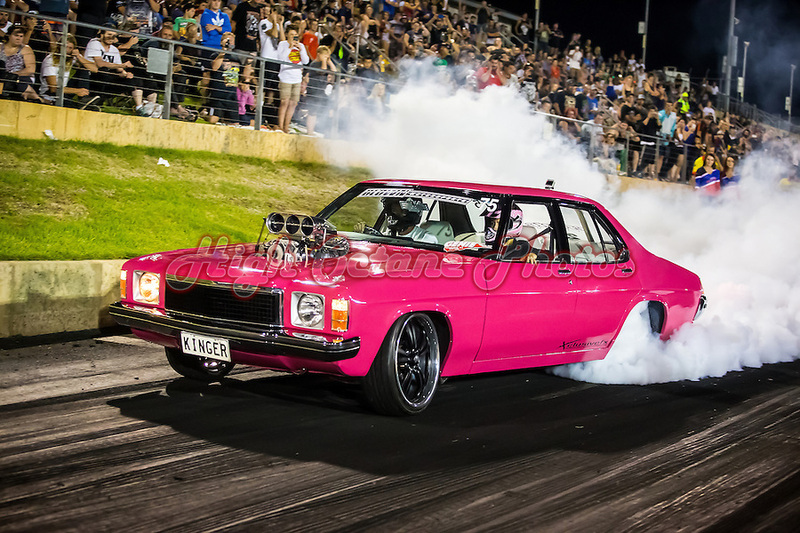 Today's Photo of the Day is Steve Sines in KINGER, his Holden Kingswood burnout car, seen here at the Perth Motorplex's Good Friday Burnout King in 2016. 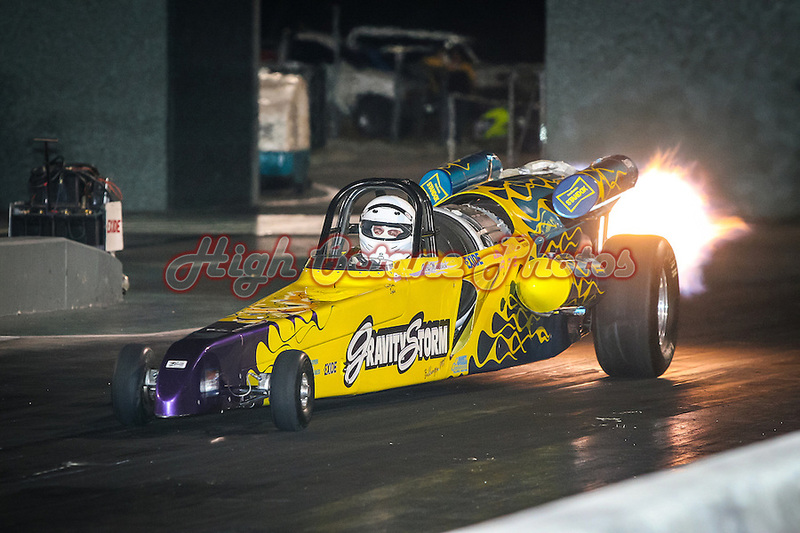 Today's Photo of the Day features Jet Dragster drivers Chuck Haynes in Volcano and Curt White in Ice Man, seen here racing at the Perth Motorplex's Night of Fire event in March 2015. American racers Chuck and Curt are both frequent visitors to the Perth Motorplex, with Chuck having raced here for as long as I can remember. 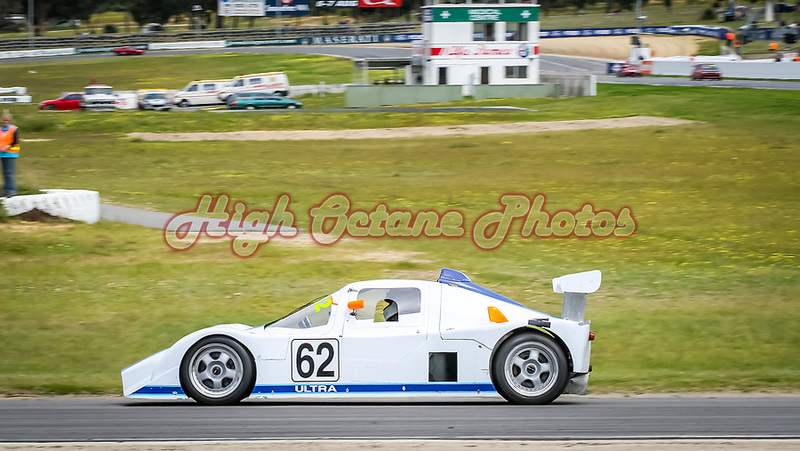 Peter McKenzie is the subject of today's Photo of the Day, seen here mid way through Turn 1 (aka CAT Corner) of Barbagallo Raceway in Wanneroo in his Ultra Sports. This photo was taken at the 2005 WASCC State Championships and shows how the infield used to look before the old control tower and medical centre was demolished to make way for the new pit lane and garage complex. Today's Photo of the Day comes from 2014 and Motorvation 28. 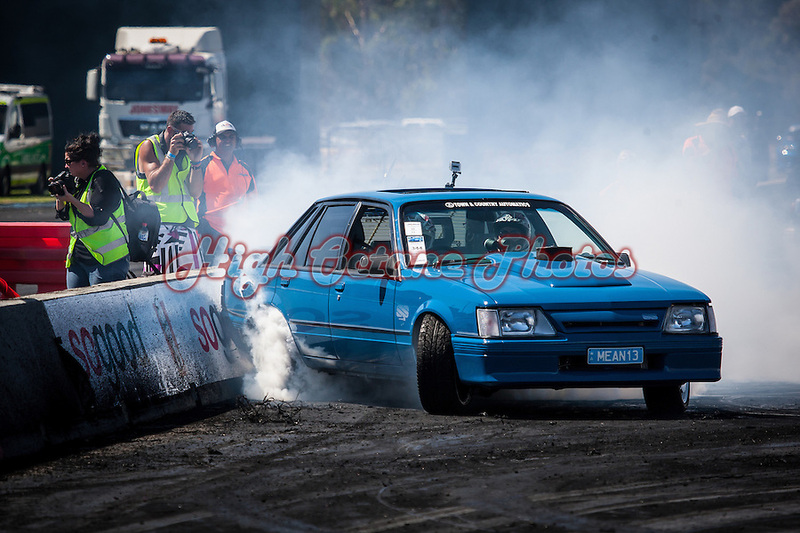 This is Norm Burrows, of Success Towing, in MEAN13, his VK Holden Commodore SS 'Blue Meanie', seen here during the pro class finals of the Burnout competition. 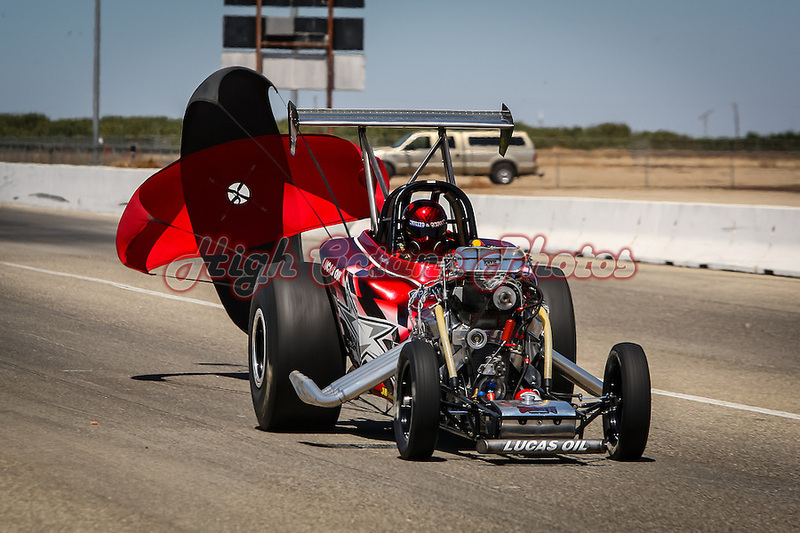 Today's Photo of the Day is a throwback to the 2010 ANRA Summer Nationals at Bakersfield's Famoso Raceway. This is the Valley Head Services 57 Chevrolet, driven by Andy Hiemstra. 2010, the year this photo was taken, was a particularly good year for the VHS Racing Team, headed by Larry Ofria, as they took out the ANRA A/G Championship that season. 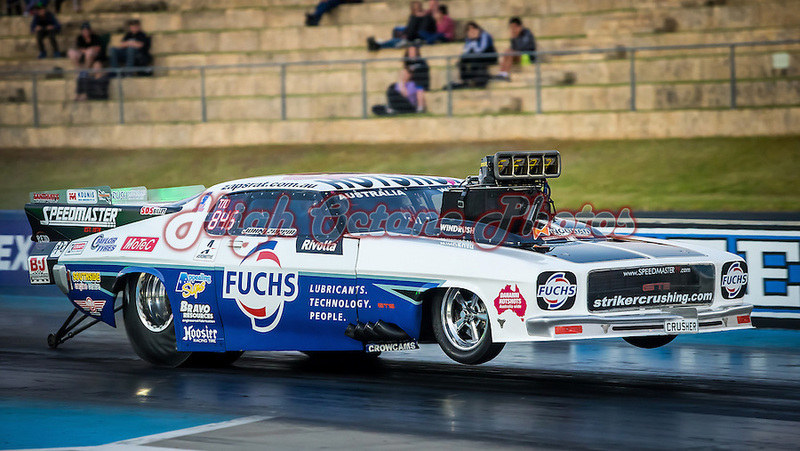 Tracey De Jager is the subject of today's Photo of the Day, seen here driving her 'Nitrous Nanna' Supercharged Outlaw Ford Thunderbird at the 2015 Perth Motorplex Westernationals. 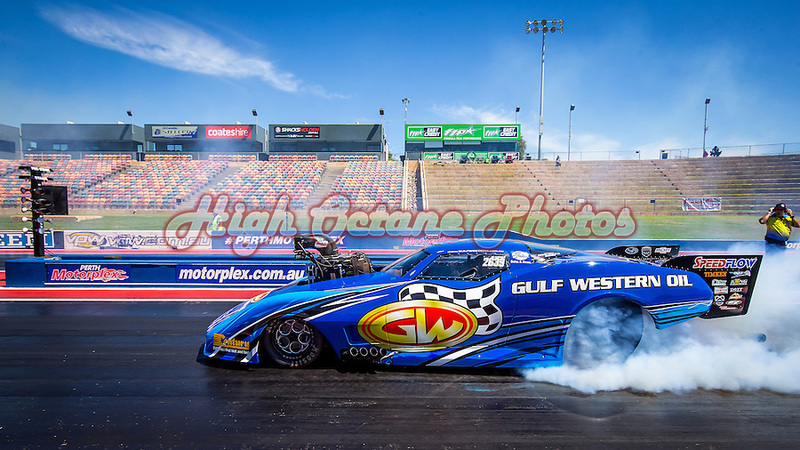 Tracey, husband David and their team have recently stepped up to Outlaw Nitro Funny Car racing, and will be debuting their new car later in the 2018/2019 Perth Motorplex season. 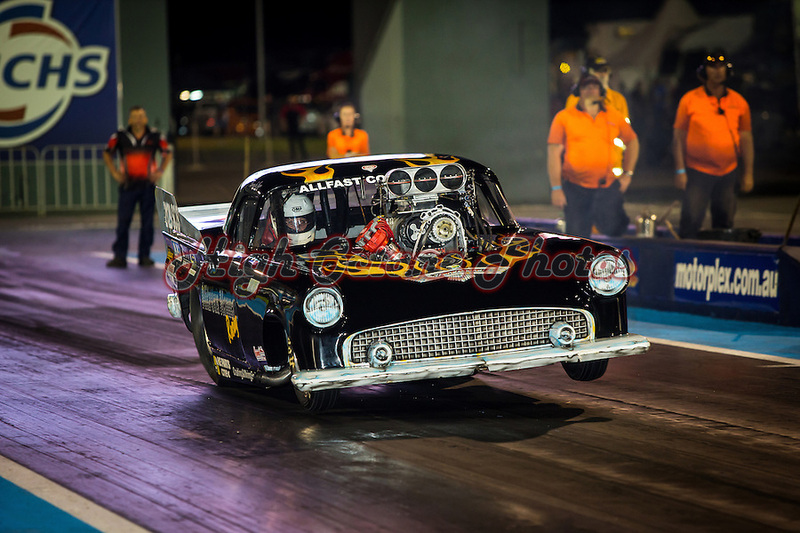 Today's Photo of the Day features WA's Frank Taylor in his Holden Commodore Supercharged Outlaw, seen here at the Perth Motorplex Night of Fire in February 2013. If you're looking to go drag racing, this car is currently up for sale and would be a great way to get into supercharged racing. If you'd like to know more, check out Frank's facebook marketplace post here. 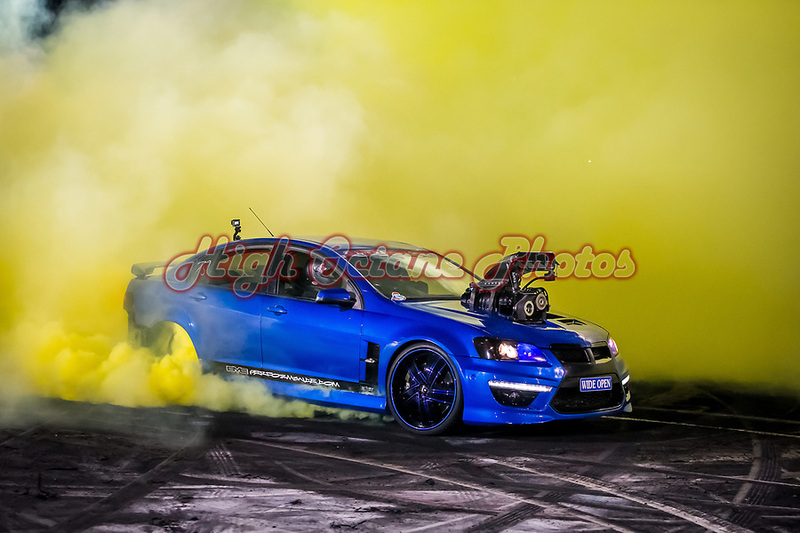 The Photo of the Day for today features Lorenzo Gullotto and his turbocharged LSA powered VL Holden Commodore, seen here at the Perth Motorplex's Boost and Outlaw Radial Night in October 2017.